The succulent tree is the ideal tree for anyone who wants to look like a total hipster this Christmas. You may or may not have noticed… succulents and cacti are still pretty on-trend. 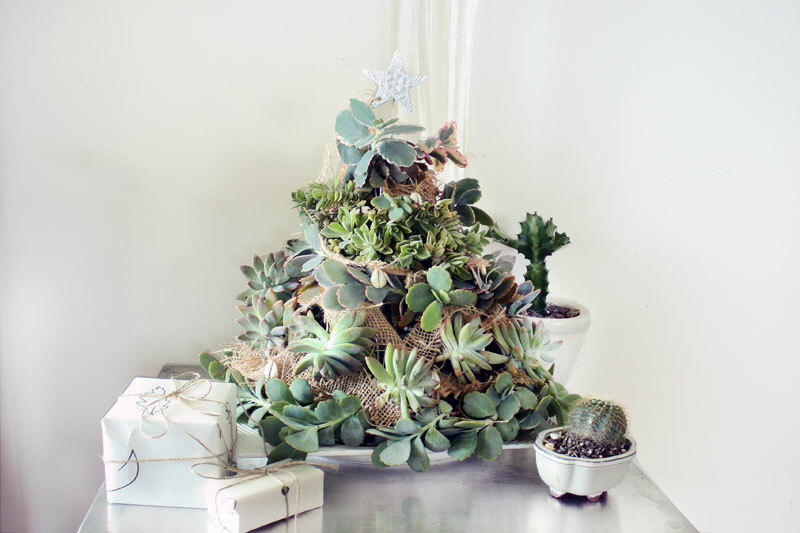 What I like about this succulent tree idea is that no only is it pretty to look at, the plants won’t die and at the end of Christmas you can pull your tree apart and pot the succulents up. Potted plants make great gift ideas. 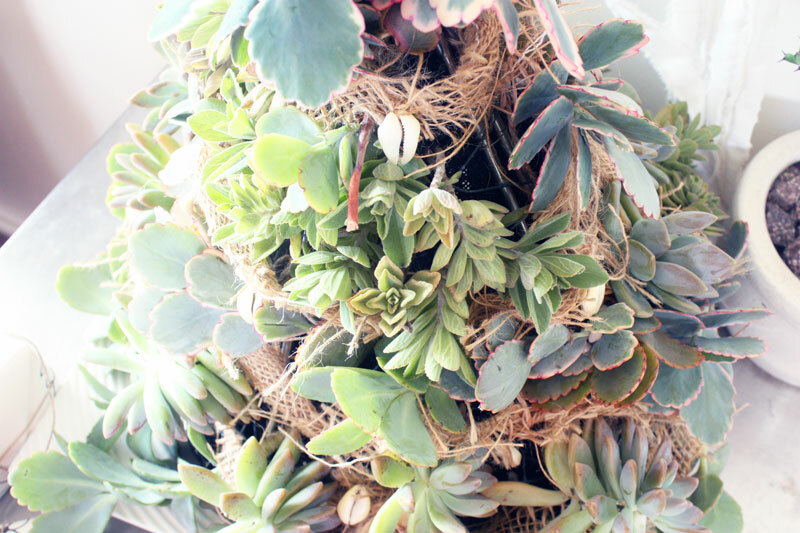 If you are smart about this you could thrift some old tea cups, pottery, or teapots and plant into them and next time a birthday rolls around you can gift a beautiful potted succulent (stay tuned for an easy DIY on this). The succulent tree can be the christmas tree that keeps on giving all year round. You know what else? If a leaf falls off your succulent put it in some soil and hey-presto you will have a baby succulent in no time. 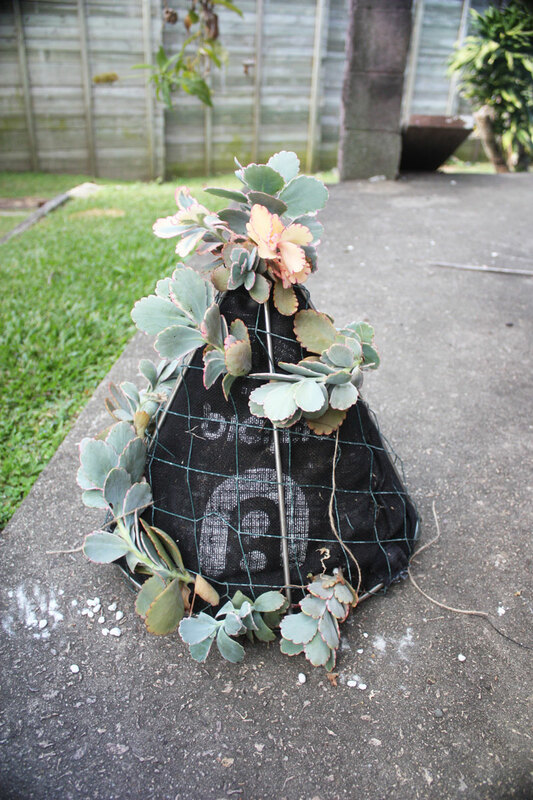 Want to make a succulent tree? 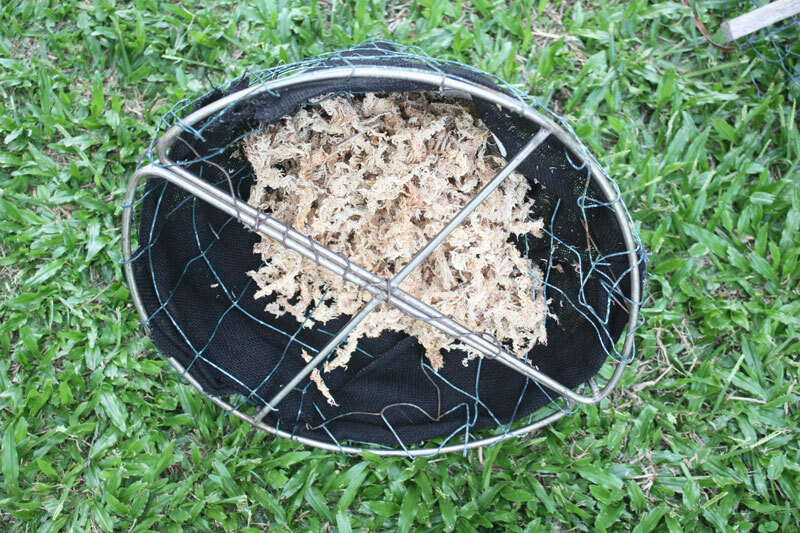 Here is a video, or you can follow this easy Bunnings tutorial (but use jute instead of that black plastic stuff as the jute is biodegradable). Also check out this succulent tree with airplants… pretty awesome combo hey? I made my very own succulent tree using a couple of wire things I found at the recycle market, two jute bags that were given to me at a festival that were plain awful as the black dye rubs off on clothing, some old wire offcuts, and a bit of garden hessian offcuts. My approach was a bit of a combo of the two tutorials mentioned above. You will need some kind of structure to form the shape of your tree. I found these wire things at my local recycle market. You can use just plain chicken wire to make the shape of the tree. As my tree is quite large I liked the idea of the solid wire for a firm structure. 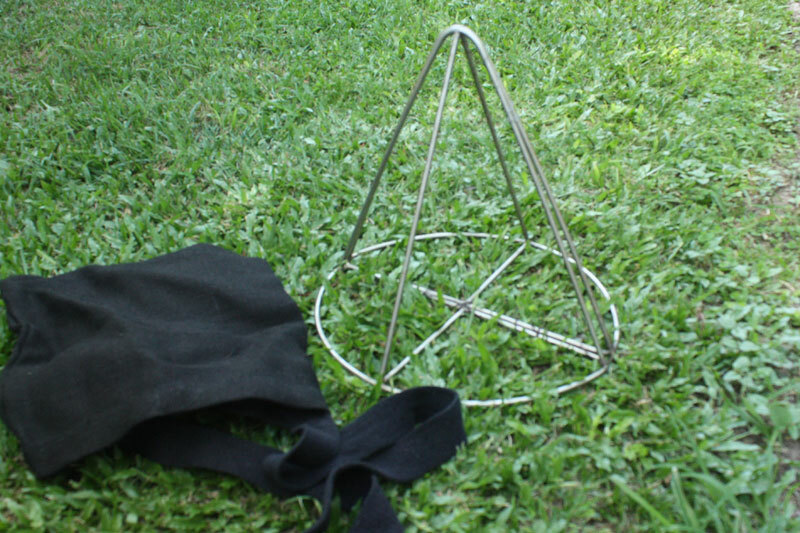 After lashing the two triangles together with florist wire I wrapped it in old wire and lined it with the jute bags cut open. After creating my tree structure I filled it with sphagnum moss (40%), perlite (40%), and some composted pine bark (keeping this to a minimum of 20% as it will make the tree heavy). Pack the contents in tight! I learnt this through trial an error. 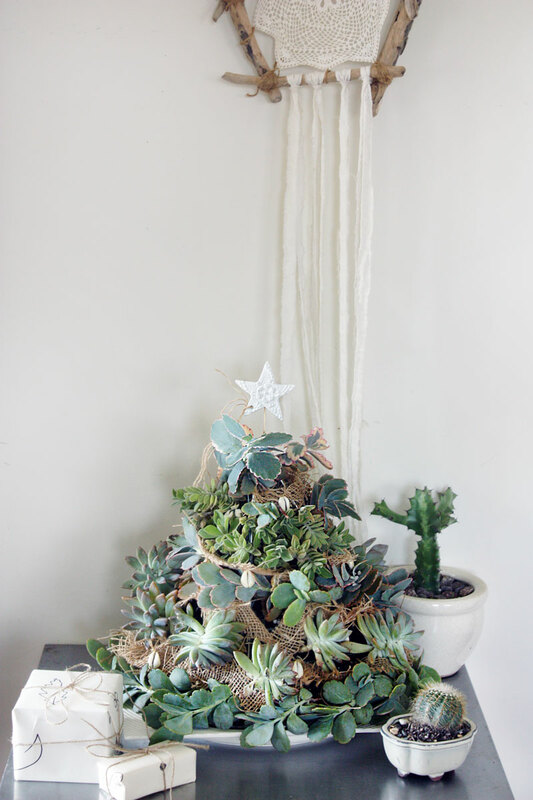 If your tree is not firmly packed then it’s really hard to get your succulents to sit right. I put a layer of jute bag and some wire mesh on the bottom to prevent any spillage but it’s open weave allow for drainage. Arguably the most difficult part of the whole process is designing your tree. It takes quite some time to punch some holes into your liner and insert each succulent cutting, even longer to work out how you would like the end result to look. I collected cuttings from plants I already had (and some extras from plants overhanging footpaths in my neighbourhood). You could get a more exciting and consistent look by purchasing more uniform succulent pups from your local nursery but it would make the tree quite and expensive project. I filled in any gaps with some left over hessian, and decorated with some seashells I had in my craft box and a star that my friend made me last Christmas. I’m on a budget so my tree isn’t probably as colourful and uniform as I could imagine it to be but I’m happy that the whole project cost me a grand total of $2.00 for the frame. Everything else was laying around my house! I built my tree to withstand a decent watering so I can take it outside and water it with the watering can. Some folks suggest just a light spray with a misting bottle but having a big garden of succulents I know they like a decent dousing in my climatic conditions. Succulents don’t require as much water as many other plants, but they do need some water so you will likely have to water your tree a couple of times during the month. I hope you enjoy this alternative christmas tree DIY. Have you ever made a succulent tree? What are your tips and tricks. Let us know below!